Monobloc carbide tip with self-centering point. 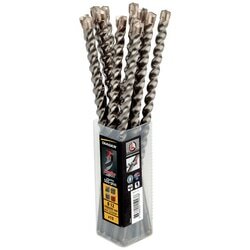 Booster is an hammer drill bit SDS PLUS with aMonobloc carbide tip with self-centering point. The self-centering tip allows more precision. The tip design guarantees a concentric hole. 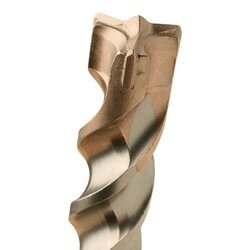 The square flute accelerates dust extraction and improves the drill bit life time.